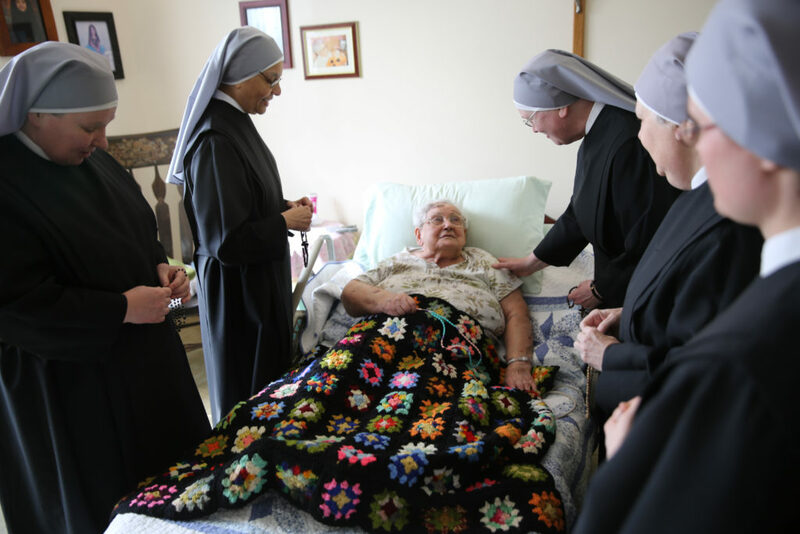 WASHINGTON, D.C. – The Little Sisters of the Poor and other religious groups would be protected from the HHS mandate under a new draft rule leaked today, fulfilling a Supreme Court ruling last year and President Trump’s promise earlier this month. The new regulation, currently under review, would exempt religious groups from the requirement to cover services like the week-after pill. But the new rule would leave in place the religious “accommodation” created by the Obama administration, making that route available to groups that choose to continue using it. The older version of the rule already contained enormous exemptions, just not for religious groups like the Little Sisters and other charities serving the poor. One hundred million Americans—nearly one in three—don’t have insurance plans that must comply with this mandate. The government was already exempting large corporations like Exxon and Visa, and even its own government-run plans for the disabled and military families. It’s time to bring some common sense to this regulation and protect religious groups serving those in need. Most of the new rule’s language updates the existing “accommodation” for religious groups, ensuring that the option is still available for religious groups that choose to use it. It broadens the exemption created by the Obama Administration to cover a broader group of employers with sincere religious or moral objections to particular services, such as the week-after pill. The new rule also makes it clear that insurers may issue separate policies to women whose employers are exempt from the mandate. “You will hear the number 55 million bandied about by opponents of the Little Sisters of the Poor. But the actual number of affected employees is less than 3/10ths of one percent of 55 million. This is Chicken Little on steroids,” says Rienzi. The contraceptive mandate issue has been to the Supreme Court five times, and each time the Supreme Court has ruled in favor of broader protections for religious groups. This rule, if made official in this form, is consistent with those Supreme Court rulings. If the rule goes into effect, further legal action will still be necessary to wrap up the challenges to the prior version of the mandate. Becket is a non-profit, public-interest law firm dedicated to protecting the free expression of all religious traditions and has a 100% win-rate before the United States Supreme Court. For over 20 years, it has successfully defended clients of all faiths, including Buddhists, Christians, Jews, Hindus, Muslims, Native Americans, Sikhs, and Zoroastrians  (read more here).